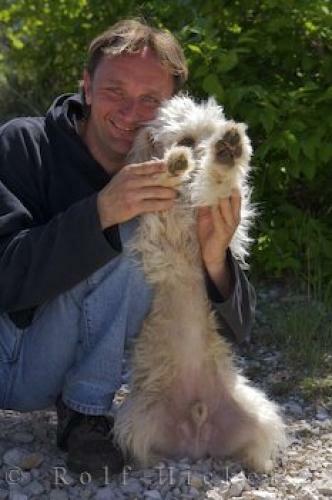 The gardener at La Source Parfumee in the Provence, France considers dogs to be his best friend. A dogs best friend is usually his owner and this lucky dog happens to spend every day with his best friend in the La Source Parfumee Gardens in Gourdon, France. This gardener at the La Source Parfumee has the ideal job as he keeps the gardens in tip top shape under sunny skies, his best friend gets to come to work with him and the dog finds himself in the perfect dogs paradise. Gardener and dog at the La Source Parfumee Gardens, Alpes Maritimes, Provence, France, Europe. his best friend in the Provence, France.